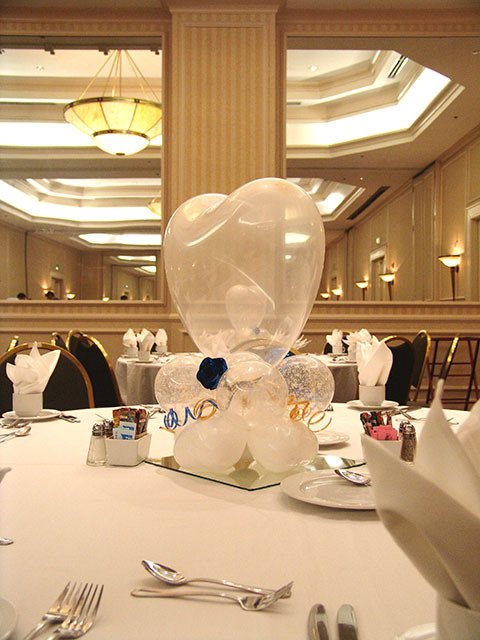 No matter where your wedding reception is going to be, we can make it memorable by adding very beautiful wedding centerpieces. 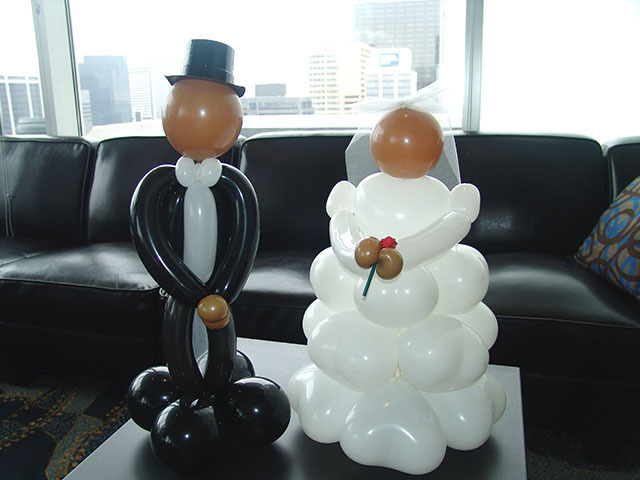 Balloons can be a classy way to add color and elegance to any event. What day is more romantic to get married on than Valentines Day? 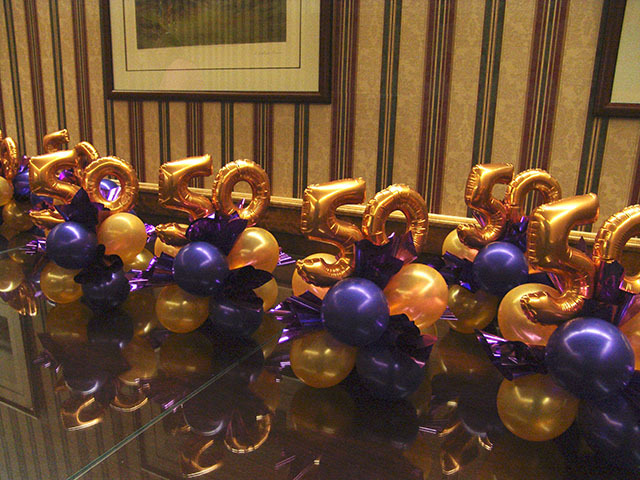 Here are some great centerpieces we made for a wedding reception in Denver. 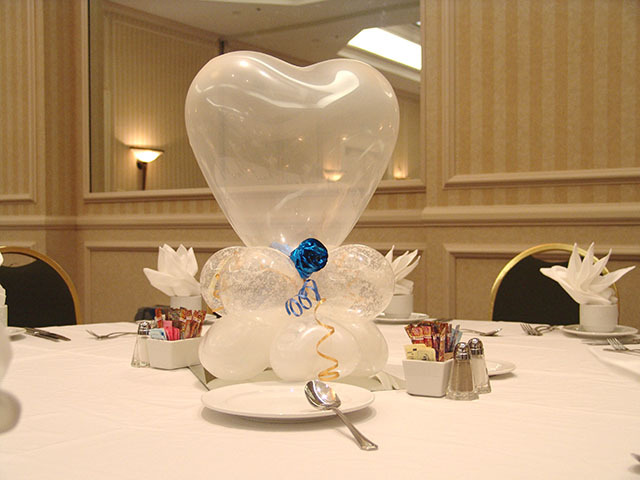 We can make all kinds of unique centerpieces for any type of event, especially weddings. 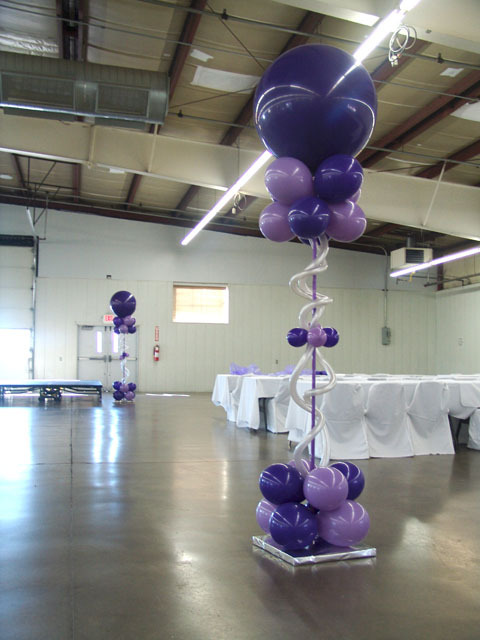 These wedding shower balloon centerpieces were a great touch to this party. We added several details to these. Contact us with a special theme or idea. 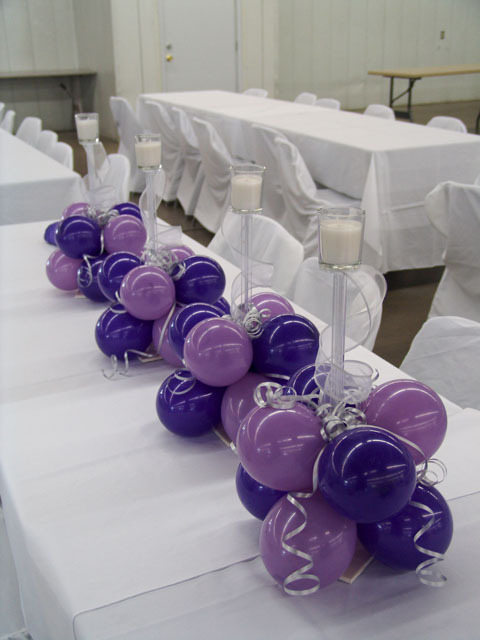 Here are some very elegant and simple birthday party centerpieces. 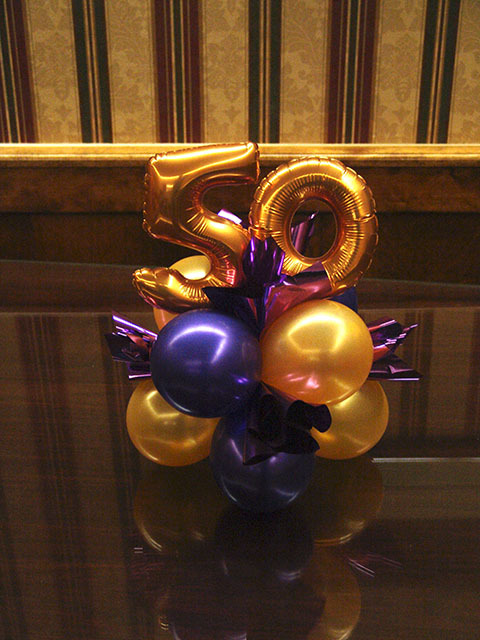 These could easily be used as wedding anniversary centerpieces as well.